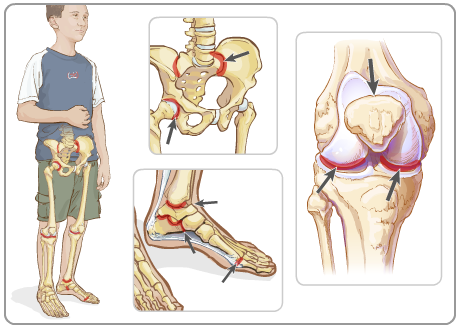 In ERA, it’s typically the larger joints of the lower extremities that are painful. Note, however, that shoulders can also be affected. Later on, there might be spinal (back and neck) involvement. Other symptoms of ERA can be weight loss, lack of appetite, abnormally slow growth, and Irritable Bowel Disease. I’m sorry I didn’t see your comment sooner. Hopefully your daughter’s appointment was helpful in identifying the problem. It’s so hard to see our children not feeling well.